A young man is ruing his decision of selling one of his kidneys as a teenager on the black market in order to buy a new iPhone and iPad. He is now disabled, bedbound and needing constant care, according to recent reports on Chinese media. In the report published by Daily Mail UK, the man identified only by his surname, Wang, 25, had his kidney removed in an underground clinic before selling it on the black market for 22,000 yuan (£2,528) in 2011 when he was just 17 years old. “The teenager wanted an iPhone and iPad desperately in order to prove to his classmates that he was trendy, but his cash-strapped parents could not afford them,” the newspaper reports. His story shocked the country at the time, leading iPhones to be billed as ‘kidney machines’ by web users. 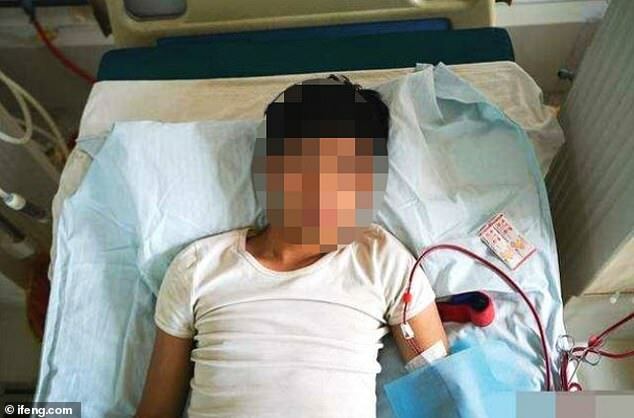 According to the newspaper, the high school student found three middlemen on a Chinese online chatting platform QQ, who promised to help him realise his dream of owning the gadgets – but at the cost of one kidney. Turkish Airlines Added Samarkand To Its Flights Network.